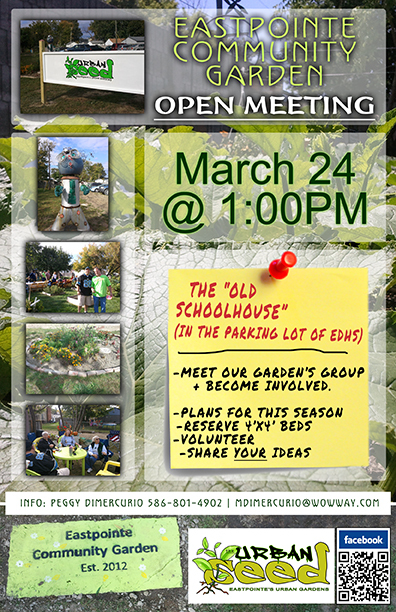 We are so excited to talk to everyone at the upcoming meeting – we have some great plans for the 2013 season – “talk to a gardener” sessions, a giving garden for local food banks, a composting system, lots of volunteer opportunities, additional rental boxes, more sitting areas, and beautiful flower and herb gardens. Do you want to be a part of it? Join us on March 24 @ 1:00 p.m. at the Historic schoolhouse on 9 mile, west of Gratiot.